I thought you would get a kick out of my new purchase for Gracie. Now before you fall off your seat hysterically laughing, there is actually a method to my madness and I’ll explain in a moment…now stop laughing!!! The reason I decided to get it (Diana gave me the idea initially….blame the friend..hee hee hee) is because I wanted to go for long walks with puppy but no way will, or should, a chow baby go on 2 mile walks on the riverfront in Portland. It’s just too dangerous with all the bikes, skateboards, roller derby wannabes and various other funky other wheeled contraptions on the pedestrian trails….not to mention my bad vision. I’m doing a full video review of this product for Amazon.com so more to come of Gracie in her new wheels!!! This is Pirrie , the daughter of Scott and Martha Wright of SCOTT PAUL WINES. She loved Gracie and visa versa. This was another highlight of the weekend for Mz Gracie. She got to go Wine Tasting at Scott Paul . They were debuting the new “Audrey” Pinot Noir so we couldn’t miss that for the world. This was Gracies first real field trip and she was SO GOOD…walked right up to Pirrie as though they were best friends! BTW , Pirrie is one of the members of our Bai Xue adoption and our only Junior member as well!! We are so excited to have you on board Pirrie!! All the certificates are on their way now from Pandas International so look for yours in the mail! 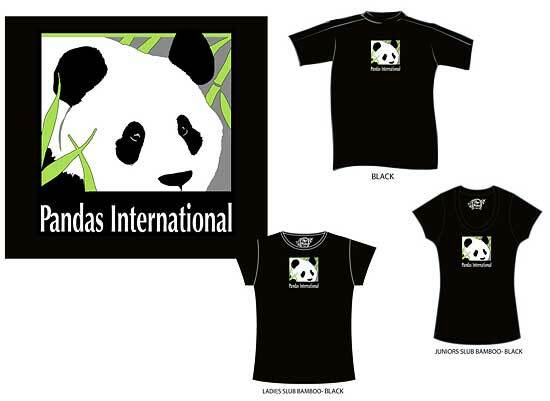 BELOW IS THE NEW PANDAS INTERNATIONAL LOGO I WAS COMMISSIONED TO DESIGN!! I donated this artwork based on Team Husar Photography’s beautiful panda images . It was such a joy to work with Suzanne and Lisa on this incredible project. The whole thing went so smoothly and I had it done just in time for me to leave for China in February. I’ve kept it a secret all this time which is REALLY hard to do!! 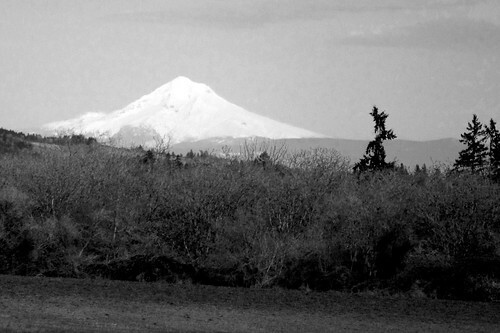 The Willlamette Valley in Oregon is one of the most charming places I know outside of France and Italy countryside. This outstanding wine region is growing by leaps and bounds in popularity as a tourist destination but still holding onto it’s small town charm for the most part. What could be more breathtaking than Mt. Hood under a new 2 foot blanket of snow in the spring! I never tire of seeing this majestic beauty no matter how many times I see it. And last but not least….the Bindi Birds are migrating back to the studio with a bit of a makeover! I’ll be posting more about them this week before I add them to the site!!!! Great little gifts for Moms Day. They always elicit a chuckle wherever you wear them!! Have a fantastic week my friends! !